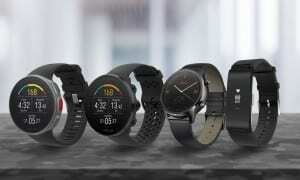 Top Five Best Smartwatches For Fitness - Which? We round up the smartwatches that can take you from the office to the gym, including devices from Apple and Samsung. Unlike fitness watches and activity trackers, smartwatches are not designed primarily for tracking exercise or activity. 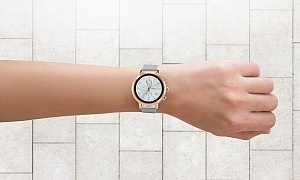 They tend to have a watch-like design that wouldn’t look out of place on your wrist in even the smartest setting. 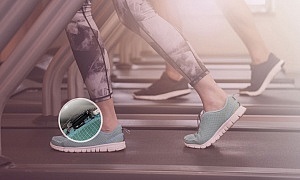 But, some combine smart functions such as calls, text and email seamlessly with fitness tracking features – perfect for wearing both in the office and while exercising. 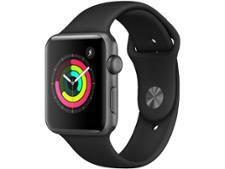 Most smartwatches perform at least some basic activity monitoring, such as step or distance tracking. But others have more advanced fitness features, such as built-in GPS, heart-rate monitoring and swim-metrics. In the table below we’ve picked the smartwatches which can compete with even our Best Buy fitness watches for features and accuracy. It’s not all good news though, as we’ve also found some that are inaccurate and impractical for wearing during training or exercise. An impressive GPS-enabled smartwatch for iOS users. This watch has an abundance of fitness features. Can it help you stay connected too? The most accurate Apple Watch model we’ve tested. A stylish smartwatch that packs a punch when it comes to fitness features, too. Pricing, recommendations and test scores correct as of May 2018. Which smartwatch fitness features do I need? Measuring your heart-rate is one of the best ways to track improvements in your fitness levels, as well as being a useful metric for those looking to burn fat. The best smartwatches for fitness will measure your heart-rate all day, as well as telling you when you’ve reached your active heart-rate zone during exercise. Some will even measure the time it takes for your heart-rate to return to a resting rate after exercise, which is indicative of your fitness. Most smartwatches will be able to use the GPS on your smartphone. If you like to exercise outside and don’t want to be tied to the GPS on your smartphone, though, built-in GPS is the feature to look for. This will let you track your route and distance while leaving your smartphone safely at home. If you want to use your smartwatch for tracking swimming or for exercising outside, you’ll need to check the water resistance or waterproof rating. For a breakdown of these ratings, see our guide on fitness watches and activity trackers for swimming. We put every smartwatch through the same tests as fitness watches and activity trackers, including checking the accuracy of step and calorie count, distance travelled, and the built-in heart-rate monitor. For those that have specific swim metrics, we put the accuracy of the tracking to the test in the pool too. We know consistency is important too – if a smartwatch is accurate on some days but not on others it will be difficult to track improvements in your fitness levels. We repeat our walking test to see if the smartwatches consistently overstate, understate or hit the accuracy mark. Make sure you check out our reviews if you want a smartwatch that will accurately track your exercise and activity. There are a few smartwatches that let you listen to music while paired with wireless headphones, without the need for your smartphone – perfect for those that want to go for a run without taking multiple devices along for the ride. Look for smartwatches with plenty of storage, a good selection of apps on the device, and Bluetooth for pairing with your headphones. 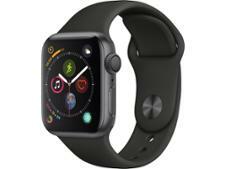 The latest device from Apple – the Apple Watch Series 3 – comes with Apple Music, meaning you can listen to music through your Apple Airpods without your iPhone nearby.